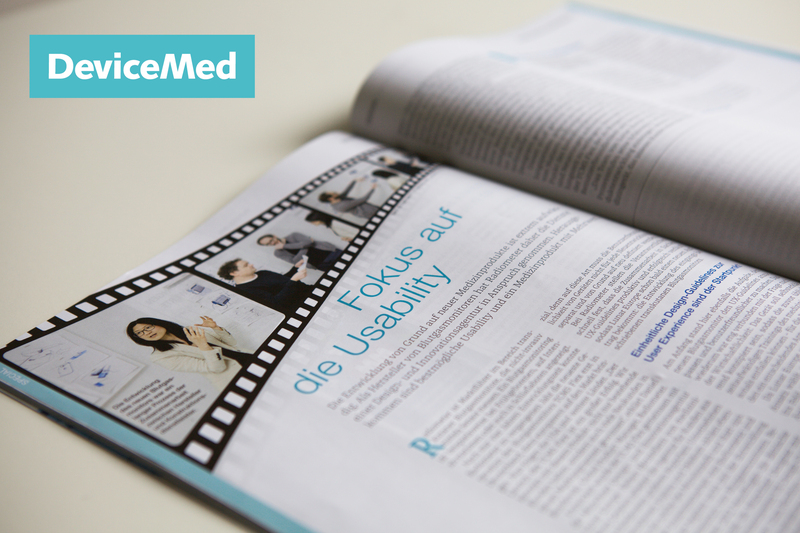 The May issue of DeviceMed, the leading trade magazine for all aspects of manufacturing medical devices, features a report on the development of the TCM5 blood gas monitor and how LUNAR Europe partnered with Radiometer to create a product with added value. Developing new medical products from scratch is an extremely complex process. 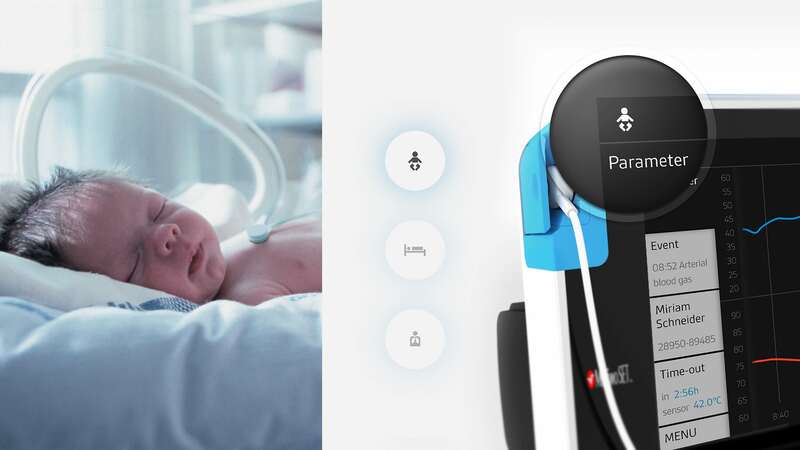 That’s why blood gas monitor manufacturer Radiometer decided to utilise the services of a design and innovation agency to arrive at a solution that delivers optimal usability. The outcome is a medical product with added value. Radiometer is the market leader in transcutaneous blood gas monitors – devices for the continuous non-invasive measurement of blood gases via sensors. Blood gas monitoring is for instance indicated for premature babies and patients in intensive care units or sleep labs. In 2016, after a development phase lasting just four years, Radiometer successfully rolled out the latest generation of its blood gas monitor – first on the German market and then throughout Europe. The USA and other countries are set to follow. “The launch of the TCM5 Flex is a major success. Besides helping us retain existing customers, this product has also enabled us to attract a lot of new business in new segments of the market,” explains Daniel Rusidovski, Global Product Manager, Radiometer Basel. The TCM5 Flex was developed in collaboration with Munich-based design and innovation agency LUNAR Europe. In addition to medical device manufacturers, the agency also works for clients from a broad spectrum of other industries, ranging from major players like Sennheiser, Fujitsu and Telekom all the way to German SMEs and startups. But the collaboration between Radiometer and LUNAR Europe didn’t start with the development of the new-generation blood gas monitors. As far back as spring 2012, Radiometer’s head office in Denmark had commissioned the Munich designers to draw up group-wide design guidelines based on the user experience (UX). As well as transcutaneous blood gas monitors, Radiometer’s portfolio also includes analysers for testing blood samples. The aim of the exercise was to significantly improve the usability of all Radiometer’s medical devices by tailoring them to the newly created UX guidelines. 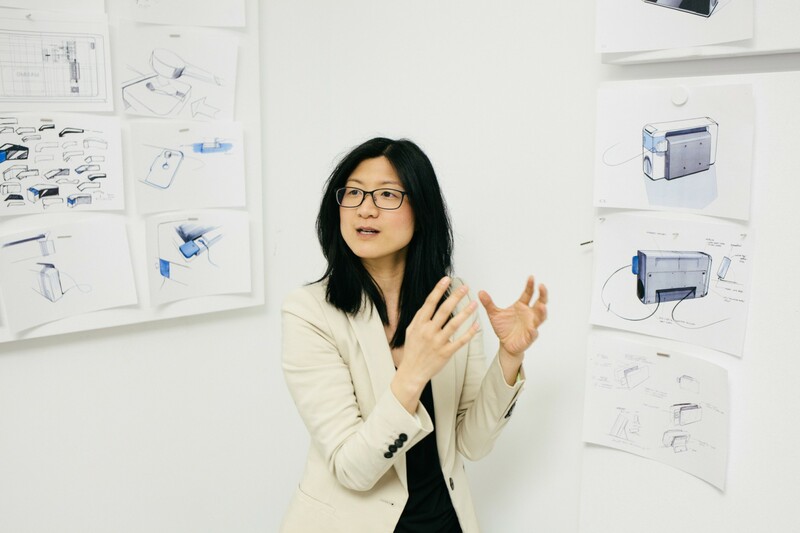 Radiometer sees huge savings potential in this approach, because it means the usability of its devices doesn’t have to be redefined separately and from scratch every time a new product is developed. At Radiometer in Basel, the collaboration on UX guidelines soon proved to be a productive and successful project. As a result, LUNAR Europe was awarded a new commission just a few months later: the development of the transcutaneous blood gas monitor described at the beginning of this article. Once again, the starting point for this assignment was to adapt the new blood gas monitor to the UX guidelines and enhance its usability. In turn, that task was closely linked with the question of profitability: the device was to be self-explanatory enough to ensure that the time-consuming and therefore cost-intensive training sessions for medical staff that had previously been the norm could be largely dispensed with – a decisive factor for Radiometer customers when purchasing a device. Because LUNAR Europe opted for a user-centred approach at every point in the process, the Insights & Strategy team headed for the field so as to get an accurate picture of the users involved. Doctors, nurses and other medical staff in hospitals and sleep labs were interviewed, their daily routines and dealings with medical devices scrutinised and analysed. Their behaviour, ideas and suggestions were then used as the basis for subsequent steps. This approach quickly bore fruit, as it meant that crucial insights could be passed straight to the development team even during the concept phase. 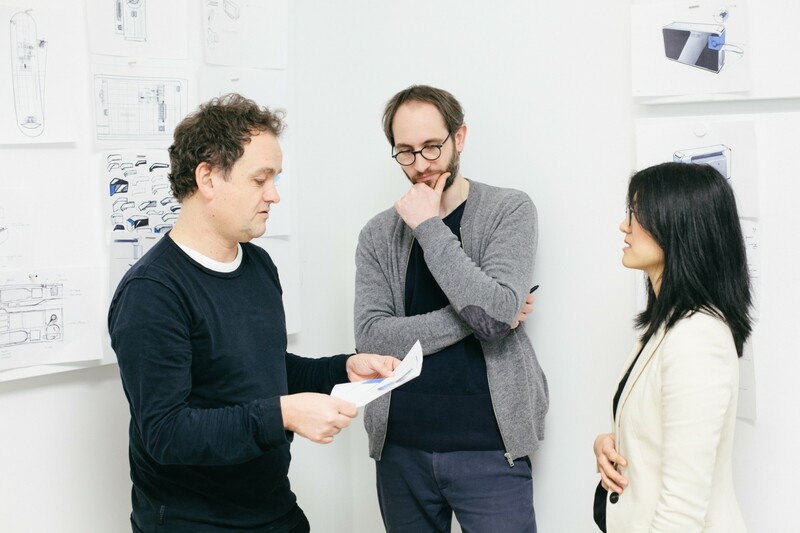 “It was important for us to take the users into account from the beginning to the very end – to observe their daily routine and their dealings with medical devices and find out what they really need,” explains Roman Gebhard, Managing Partner at LUNAR Europe. The results of this extensive research were factored into both the hard- and software at every stage of the product development. That, says Gebhard, is the only way to ensure genuine ease of use. The first prototypes were soon ready. In an iterative process, they were tested and rated by users before being revised and improved based on the resulting assessment. The interface design was developed by presenting testers with wireframes as a basis for evaluating intuitive navigation and quality. At the same time, the Radiometer engineers worked closely with LUNAR Europe to come up with technical solutions for the concepts resulting from the joint input from users and designers. Thanks to this tightly managed and interlinked development process, which was fuelled by ideas and feedback from users and designers alike, it was possible to incorporate improvements and innovations at every stage without prolonging the development phase. The result is the TCM5 Flex, whose usability and design make it a genuine standout in the blood gas monitor market. “The LUNAR Europe team was able to contribute its many years of experience in the development of medical products at every step of the process. The result of our collaboration is a medical device that offers our customers a definite added value,” says an evidently satisfied Dominik Liechty, a project manager with Radiometer. The TCM5 Flex was the company’s first completely new development for 16 years. In total, more than 20 engineers and developers based at several sites were involved with the project.